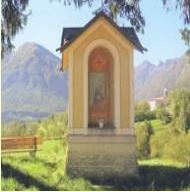 Religious orders flocked to the Trentino to situate their seminaries and convents since it was one of the most fertile areas for vocations to the priesthood and the religious life. In my very own family, I can boast of one aunt and 6 cousins who became nuns. Religious living and the priesthood were held in high esteem and its missionaries went throughout the world to the very court of Kublai Khan (Father Martini) and explored our Southwest (Fr Eusebio Chini). In the 1800’s, Rosmini, a religious philosopher and theologian became the confidant and the consultant to the popes. At the time of the migration from the Trentino and times of great hardships, a priest, Don Guetti did some spectacular things with farming cooperatives to assist the struggling communities. When Fascism and the Italian nation collapsed after World War II, it was Alcide De Gasperi, a profoundly religious man, from the Valsugana, that literally created the modern Italian democracy. He would often say that he was lent to Italy. Finally, our very own boast, our fellow Trentino, Cardinal Bernardin who rose to not only lead the Archdioceses of Chicago, headed the National Council of Bishops but became the most distinguished clergyman that the Church produced in the United States church history. We will explore in fuChapelture editions the customs, practices and mentality of this land…and people of faith from its liturgies, processions, shrines, village feasts, its communal prayer, and their world view. The Sud Tirol, the Trentino Alto Adige was a fiefdom…feudal lands under the governance of the Bishops of Trento and Bressanone…for 800 years. 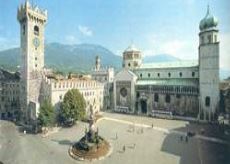 It was called the Principato of Trento. Religious culture was the very heart and soul of these domains. But unlike the Papal States where the Pope was a temporal leader, governor, tax collector, war lord, the Bishops had a distance from these matters through “avvocati” or the Counts of the Tyrol that took care of these temporal matters. While so much of the rest of the Italian peninsula had for centuries been absorbed by the politics of the state and the church, the Trentino had a comfortable distance from these internecine struggles. The Trentino was extremely loyal to the church without the Papal politics that engrossed the peninsula and prompted the Reformation. 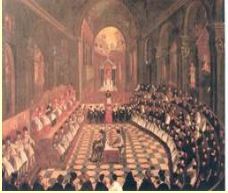 Hence, it was understandable that the great Charles Borromeo, the Cardinal Archbishop of Milan, the promoter of the Ecumenical Council, came to the Trentino and shrewdly selected Trento as the location for the Council in 1565. It was an acknowledgement of Trentino’s centrality…not just geographically but its neutrality that provided a safe haven for both the Mediterranean and “Catholic” south and the Protestant north.